The Apia Concrete Products (A.C.P.) Squash tournament brought plenty of action to Tuanaimato yesterday evening. It was opened by the President of the Samoa Squash Association, Masoe Norman Wetzell. “The A.C.P. Squash tournament is fortunate this year to celebrate 37th time since the tournament has been launched,” he said. 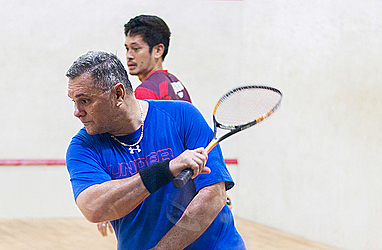 Masoe said the Samoa Squash Association is looking at extending their tournaments. About this tournament, Masoe said: “This is a special tournament. It’s the first tournament since our father Tupua Fred Wetzell passed away last December. He also emphasized the aim of the tournament. The Apia Concrete Product A.C.P. Squash tournament ends with a prize giving on Saturday Night at the Apia concrete Product Compound.